Starbucks used to be my haven in Japan. 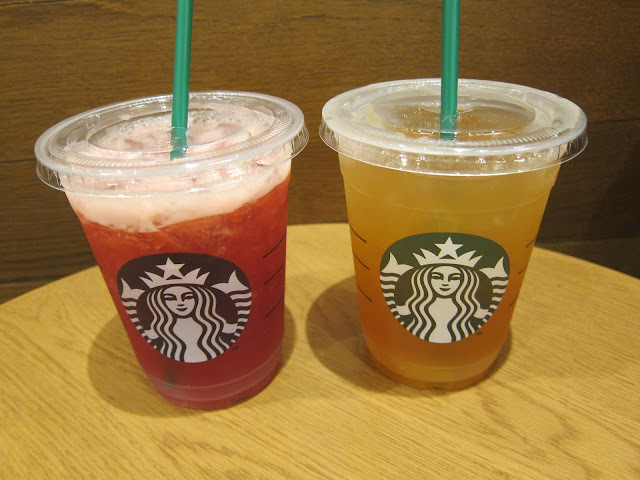 When I lived there, I would go to Starbucks as often as I could. 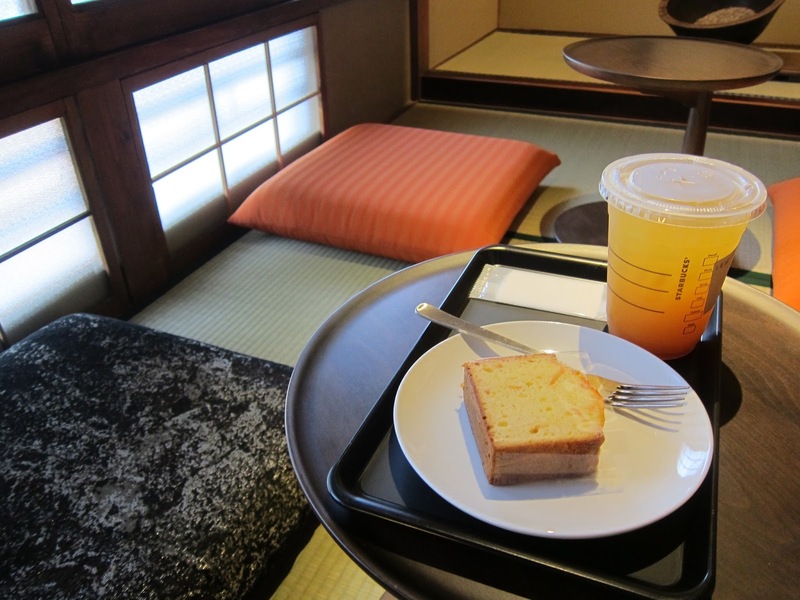 This was partially due to the fact that there were not many other cafes in my prefecture, and that the culture of Japanese cafes is quite different from western-style cafes, and Starbucks was among the few places where I could pull out my laptop and write without being bothered. I heard about this seasonal drink while I was still in the states and was looking forward to experiencing something like my beloved Watermelon Drink in Taiwan. Watermelon tea did live up to its hype with real puréed watermelon – not a power or food coloring. It was only semi-sweet, with just a subtle hint of sugar and the natural sweetness of watermelon. I didn’t taste any tea, so it was more like watermelon juice, but that was just what I wanted. This was another iced tea flavor I noticed on the menu in Japan which I have never seen offered in another country. Yuzu is a kind of citrus in Japan, often cooked with sugar used to make sweet in the summer/ I was even more impressed with this drink than the Watermelon tea due to the yuzu pulp and nostalgic taste. 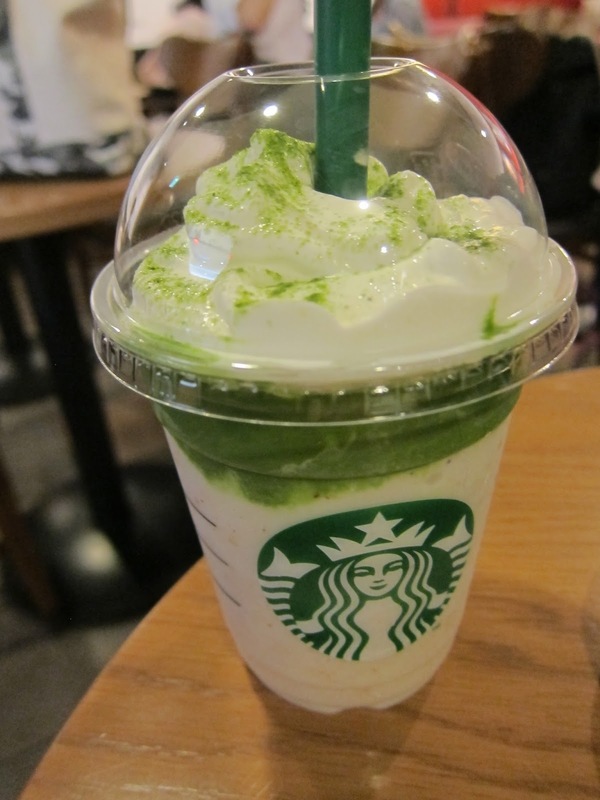 Every year Statbucks Japan tried to outdo itself with a new version of a Matcha Frapuccino. 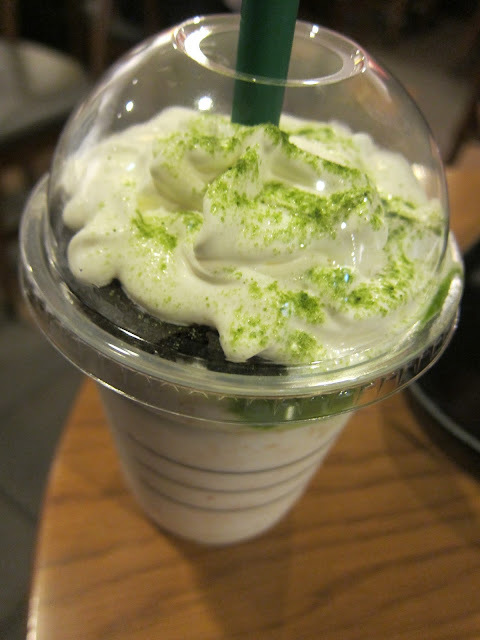 The year I moved to Japan, it was a Chocolate Brownie Matcha Frappuccino, and in years since they have done similar version of this drink. 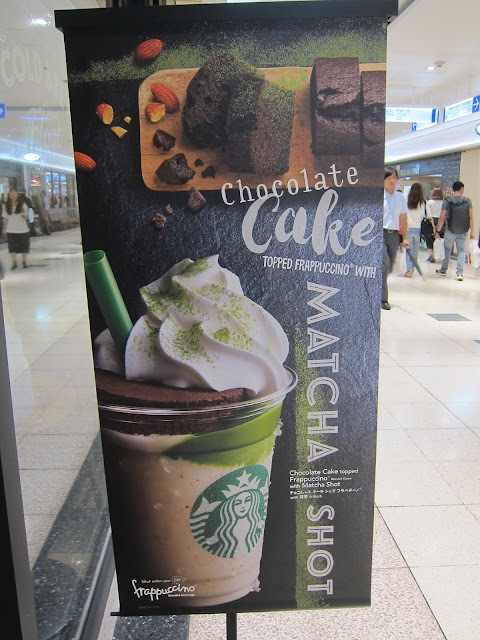 The Chocolate Cake version featered a small cake of top of the frapuccino, every time you poke your straw through you get a bit of cake in your mouth, and the longer the cake sits in the blended Frappuccino, the softer it becomes. I enjoyed this drink but still prefer the cake to be blended with the Frappuccino, for consistent flavor throughout. The flavored coffee cakes of Japan are among the best desserts Stabucks has to offer. The flavors change every season depending on the drink specials, but they are always semi-sweet, soft, and loaded with delicious and original flavor. 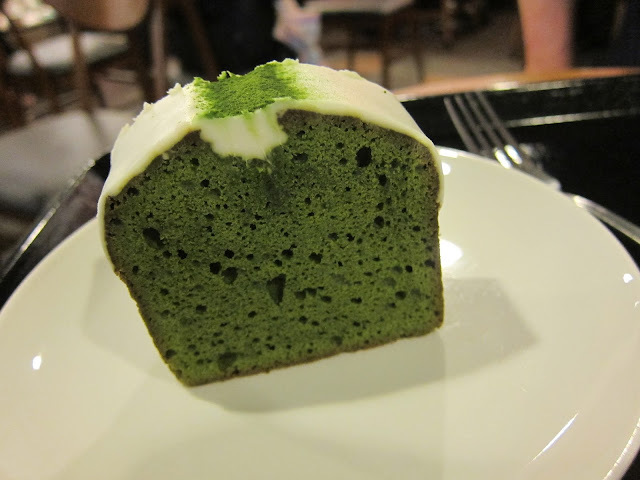 This season I had Matcha cake, which featured a delicate dream on top. The other cake I enjoyed was Yuzu Citrus flavored, which has a citrus glaze on top.